Over the past couple of months, I'd received several books for review but the time constraints were such that it is only now that I can sit down and pay them the attention they deserve. You will see more reviews coming in the next few days. 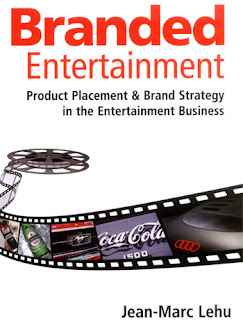 Today, and with apologies for the delay, I'm looking at Branded Entertainment: Product Placement and Brand Strategy in the Entertainment Business by Jean-Marc Lehu, published by Kogan Page. The book has arrived in March in its beta (uncorrected proof) version, and has since been officially published. The editorial review on Amazon says, "Branded Entertainment by Jean-Marc Lehu is the most comprehensive portrayal of events that surrounded the evolution of product placement -- a must read basic tool for anyone who is involved with the media industry." It might as well be the most comprehensive since the books on the subject are few (see the list at the end of this post) but it's hardly encyclopedic, and it's probably leaning more towards being just basic. The book is written in an accessible language with a heavy flavor of academia. If anything, it reads like a very well researched paper with an abundance of examples and illustrations, which is a goldmine for like-minded scholars but can be overwhelming for the general reader. The sheer number of examples does not leave any room for any in-depth case studies that a practitioner would find useful, and yet, strangely, the book in its beta version lacks an index [update on July 14, 2007: the final version does have an index]. This lack of depth and misplaced accents are perhaps the biggest flaws of the otherwise fairly useful book. The author talks at length about the death of the 30-second spot pointing at the old suspects -- fragmentation, DVRs, clutter -- but devotes exactly one paragraph to the importance of meaningful integration of a product into the storyline. The chapter that covers the history of branded entertainment is the most, well, entertaining, and will provide you with plenty of dinner-talk fodder. 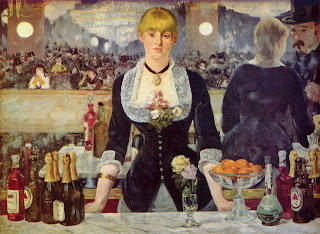 Lehu talks about product placements in the 19th century plays and speculates about the Bass beer bottles with the red triangular logo in the Edouard Manet's painting. Yet the eight-page-long chapter teases more than it satisfies and you will probably want to pick up the much more detailed Product Placement in Hollywood Films: A History. Speaking of Hollywood films. The book devotes one chapter to other opportunities -- video games, books, plays, music lyrics -- and mentions TV shows on occasions, but for the most part it talks about product placements in movies, even though its inclusive Branded Entertainment title suggests otherwise. Although its back cover says the book is an "essential reading for brand managers, marketing professionals and students of marketing", the two groups that would benefit the most are scholars studying the subject (because of the number of pointers) and budding film producers (the extensive chapter on legal matters will come handy, as well as the bullet points designed to help sell advertisers on the idea). The examples alone are worth the price of admission ($26 and change).